I know its not even Thanksgiving yet, but its time to start making a list of things I need to buy/make/decorate for Christmas. Since I live in the city with no car it makes it hard to get around and buy the things I need, so I make a list before Thanksgiving and when I'm home in the country I get everything there to bring back to my apartment. Paperwhite bulbs- my Mom hates the smell of these, but I love them! 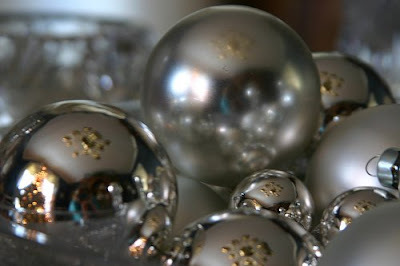 Silver glass ornaments from Target (a box of 12 is $1.99, best deal ever)- I love to use these all over the house. I put them in glass jars, any open container in the family room, and all over the mantle. 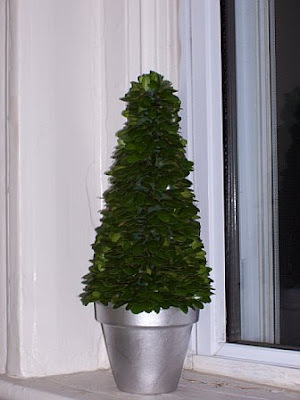 I have to make two boxwood topiaries and a wreath. My parents have a huge boxwood in the backyard, who knew boxwood was so expensive at the florist? So the tree out back gets a yearly trim at Thanksgiving so I can make these for free. This decoration takes some time, the topiary pictured here is about 12 inches tall, and to make two of them took me around 5 hours-ugg! For my front door I think I am going to try and make a wreath like Erin made from Elements of Stlye. Hers looks so pretty, I think I can do something like it. So, what does everyone do to get ready for Christmas decorating? What is on your list of things to buy for decorations? Pictures from apartmenttherapy.com, flickr, marthastewart.com and from Erin at Elements of Style. 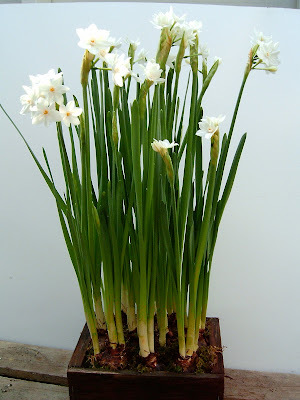 i LOVE paperwhites! i planted mine two weeks ago. 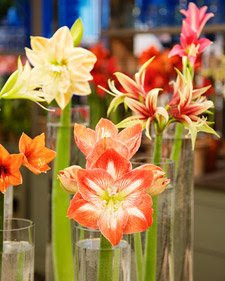 from bulb they take about 8 weeks to flower. anyhow, i turn them daily so that the bulbs grow straight up, not to a side (they will grow to a side towards the sun if they are not turned). I usually remember to turn mine too, maybe I just have a black thumb when it comes to paperwhites, but I keep trying. Did you plant yours in soil or rocks?? 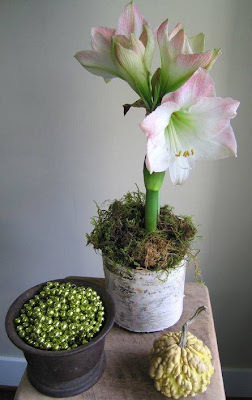 What a clever idea - a birch tree pot. Looks like you will have a very elegant Christmas!